In the Digital Solutions team at Douglas Shaw & Associates, we’re passionate about all things digital. Not because it’s new—some of us have been working in the digital space for over 20 years—and not because it’s the perfect solution for all of an organization’s problems. 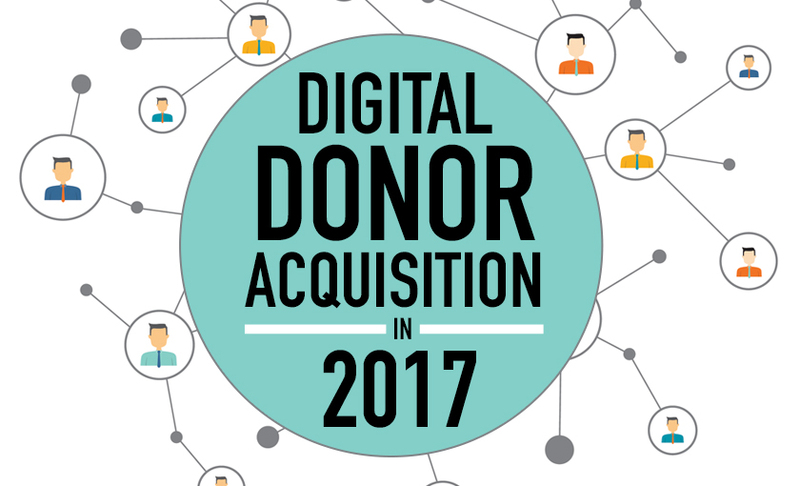 We’re passionate about digital because of its ability to connect with, inspire, and grow the donor file for the organizations we serve—particularly when it comes to donor acquisition. For myself, while I enjoy working with the team here designing, implementing, and optimizing digital acquisition efforts, what I’m really driven by are the results. After a campaign launches, the first thing I do at the office every morning isn’t to grab a cup of coffee—it’s running reports to see how things are performing. We now have several months of results that have come in from all our clients’ digital acquisition efforts, and I’m really excited about what we’re seeing. The potential of digital acquisition is being realized. Potential donors for your mission are online, willing to respond, and able to be targeted for acquisition at a cost-effective rate. Our digital acquisition strategy doesn’t just utilize a single tool or network—we have a custom approach for each client, combining the solutions that make sense for their organization and budget. Utilizing a combination of Facebook, Google, Programmatic Marketing, Retargeting, and more, we can get your message in front of key donors online and get them to convert—providing more donors and better donors so that you can change the world. It can be hard to believe. But don’t take my word for it . . . let the results speak for themselves. Because at the end of the day, it’s not about the tools or process—it’s about getting results for the ministries we serve. This past acquisition season, one client received an ROI of $7.40. Another client had a single ad raise $103,470.25! We can’t promise those kinds of results for everyone, but the bottom line is, in 2016, for all our digital acquisition clients combined, we received an ROI of 3.47 and an average gift of $97.50. That means that for every $1.00 spent on digital acquisition, clients received on average $3.47 in donations. They actually made money on digital acquisition, and that doesn’t count the ongoing revenue they will receive in the future from these new donors. Digital acquisition has come of age. If you’re not doing acquisition on digital channels, you’re missing out now and it’s only going to get better in the future. Your donors are not just receiving mail; they’re online, on social media (on average checking 14 times per day), and based on our results they’re ready and willing to respond. But unless you’re there with the right mix of strategy, message, and tools you wont give them that opportunity. It’s just after the first of the year, and now is the time that ministries are beginning to think and plan for their acquisition in 2017. If you are planning on doing digital acquisition, we’d love to talk to you and design your custom acquisition program. Contact us today and find out how we can deliver results like these for you.